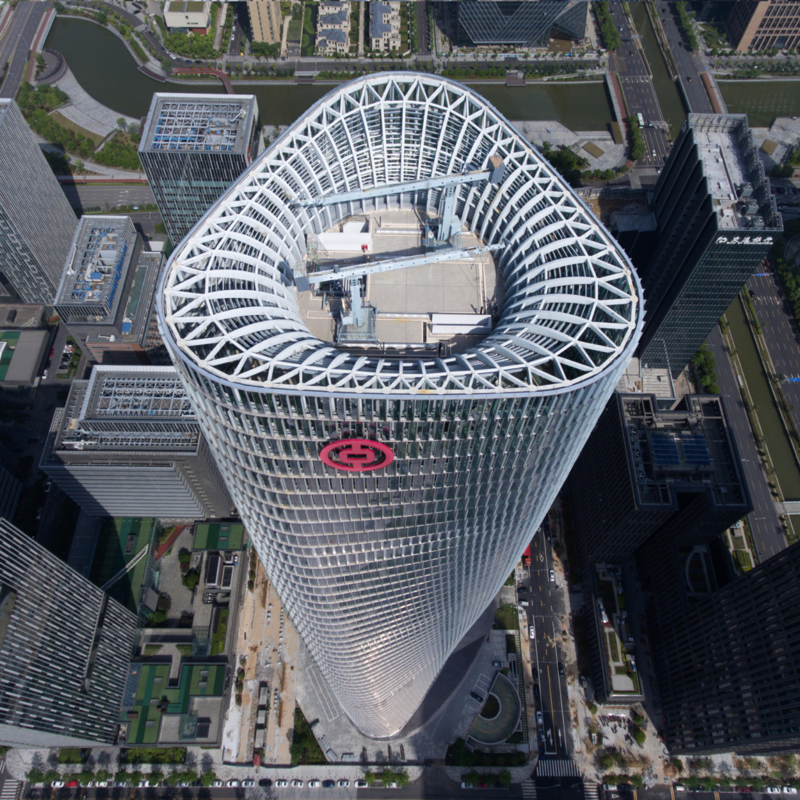 Anchoring the skyline in Ningbo Eastern New City, Zhejiang province, the Ningbo Bank of China tower is the newest landmark in the city’s financial district. Surrounded by a landscaped public plaza, the 50-story tower serves as headquarters of one of the nation’s fastest growing banks and stands as a gathering place for the neighborhood in the heart of the financial district. Clad in a sweeping curtain of glass, the tower integrates a porous metal diagrid canopy to cap a pedestrian-level podium and shelter, with a rooftop garden. Inside the podium, an open, three-story lobby provides full-service banking and houses a private employee cafeteria on the fourth floor. Each floor of the tower rotates one degree and steps in 100mm around the central core to create a seamless, twisting form from base to crown. All floors utilize 48 perimeter mini-columns draped vertically to avoid structural torque and provide an identical framework for flexible, column-free lease spaces. Ample natural light permeates the interiors, which provide shifting vantage points of the city, mountains and sea, and a public open-air crown provides sweeping panoramic views, 246 meters above street level. The tower also features a comprehensive sustainability scheme, including smart appliances, recycled building materials, individual controls for lighting and thermal systems, improved insulation, and a façade punctuated with translucent fins between high-performance glass panels, mitigating solar gain. A modern embodiment of Ningbo’s history of banking, the new Bank of China reinforces the company’s reputation as a leading institution in China.